Fits right in with Dresden's Old Town. All photos courtesy of Swissotel. Travel writer and editor Linda Cabasin loved Dresden's historic sights but enjoyed taking a break in a thoroughly modern Old Town hotel. DRESDEN, Germany ‒ On my first trip to Dresden, I wanted to see the Baroque architecture and cultural treasures that earned this city, two hours south of Berlin, renown as Florence on the Elbe. Bombed during World War II, 's capital city has been gradually rebuilt. Today, the spectacular museums, churches, and music venues in its Old Town are matched by the vibrant street life of a city looking forward. I stayed at , which is close to all the Old Town's sights and delivered more than I expected. Rebuilt on the footprint of a building destroyed in 1945, the stylish, modern hotel charmed me with a blend of efficient Swiss hospitality, clean-lined décor, and witty references to local sights. Dresden's ornate buildings, Old Master paintings, and museums stuffed with gold and silver objects can create a bit of sensory overload. My serene, high-ceilinged, white-walled room with contemporary amenities and elegant china for in-room coffee provided the perfect place to unwind and recharge. 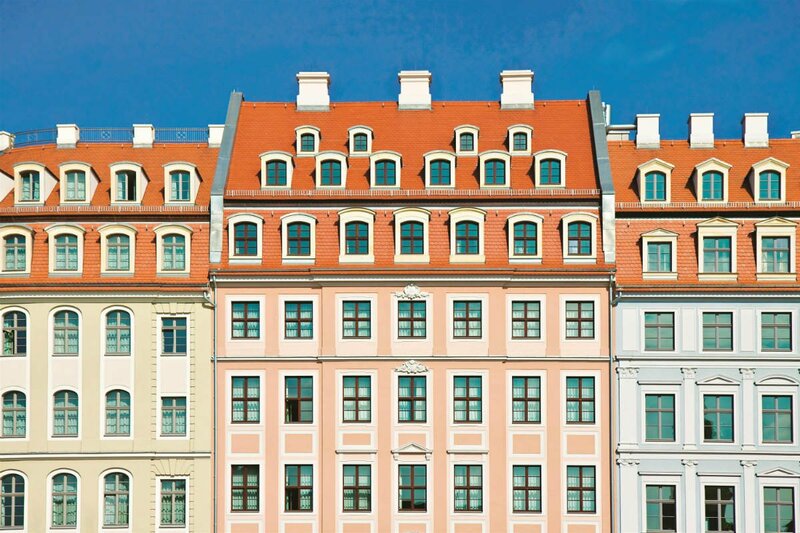 The hotel's façade on Schlossstrasse has plain modern elements as well as stepped gables that mirror the historic buildings nearby. 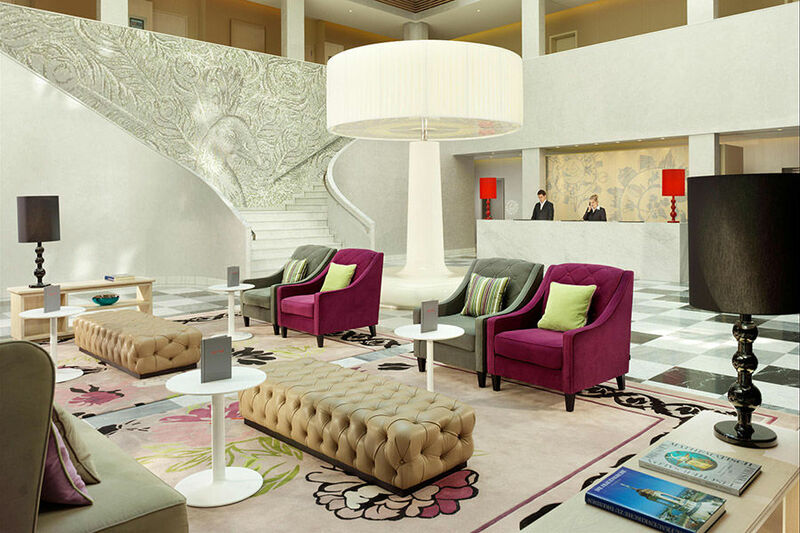 The lobby is a knockout, with light streaming in on colorful chairs and modern lamps; a bar and Wohnstube restaurant are nearby. On the lobby's staircase landing is a large, dramatic mosaic of a peacock created with pieces of white china. It's a clever homage to the luxurious Meissen porcelain produced near Dresden. My room, #248, was that always-hoped-for room with a view: I opened the curtains to behold, across the street, the (Residenzschloss), referred to in the hotel's name. At the room entrance was a large dressing and bathing area in gorgeous Carrara marble. A half-height wall topped with a circular mirror separated this space from the rest of the room, which had touches of green amid a backdrop of white and a bit of red — very Swiss. A few abstract, curving green leaves and flowers on the white walls and curtains evoked painted Meissen china, and the tile-like pattern of the green carpet nodded to Dresden's late-19th-century (Pfunds Molkerei), with its walls and floors of Villeroy & Boch tiles. A red headboard and credenzas, a desk, pod-like chairs, and a large wooden cabinet completed this soothing, spacious retreat. Other highlights for me were a great breakfast at Wohnstube restaurant, a space decorated in light woods and peaceful neutrals. The buffet of smoked salmon and other fish, crusty bread and sweet pastries, vegetables and fruit juice, eggs, and great coffee prepared me for exploring. Everyone at the check-in desk was helpful and patient. 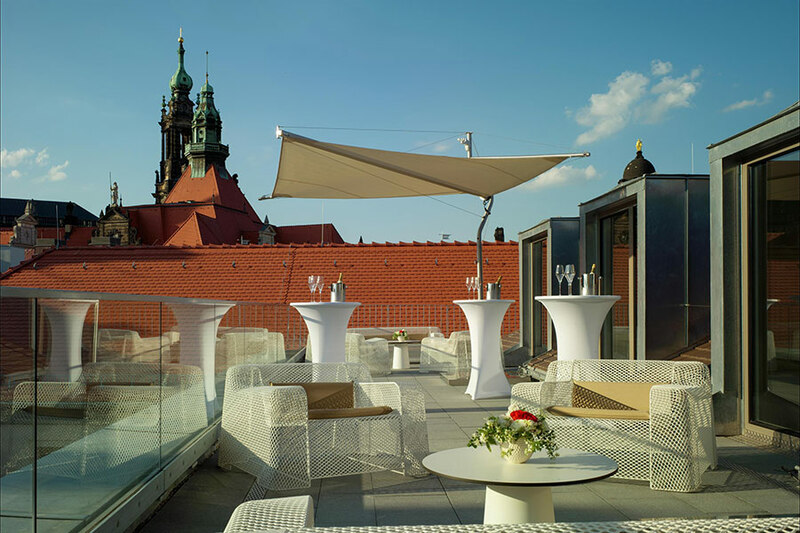 Best of all, although the Swissôtel Dresden Am Schloss has more than 200 guest rooms and several meeting rooms, its public spaces and layout made it feel more like a cozy refuge than a larger hotel. On a narrow street with Baroque buildings in the heart of Dresden's Old Town, opposite the and steps from the famous museums, the , and the Elbe River. Quiet; a light-filled, contemporary rebuilt on a historic site. 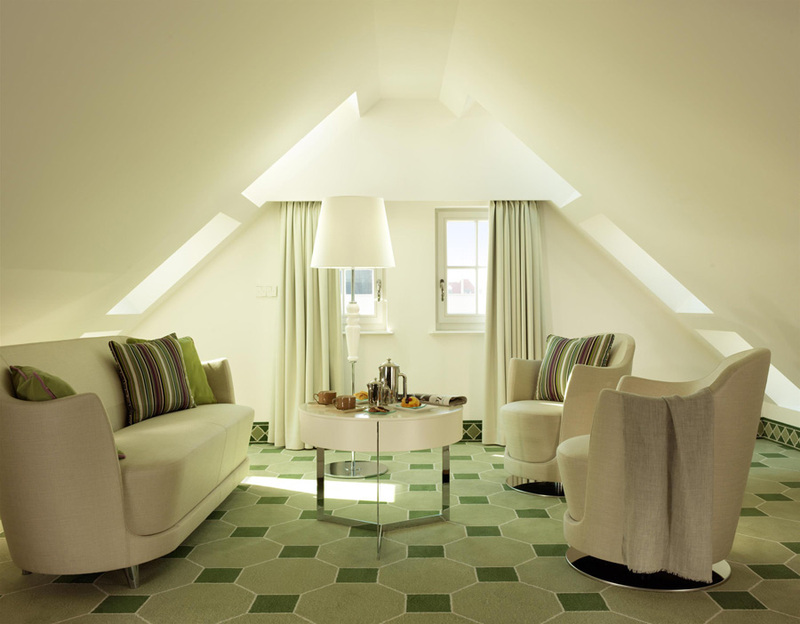 Efficiently Swiss and hospitable, with witty allusions to local culture and history. Couples, solo travelers, and businesspeople seeking Old Town atmosphere and access to city sights along with comfortable modern style — at a really good price. Families can do okay here, but there's nothing too special for them. Dinner in the Wohnstube features Swiss and Saxon specialties, from fondue to good beef and fish. At €22, the breakfast buffet is costly, but it's deliciously fresh. Schlossbar, facing the Royal Palace, has cocktails and light bites. 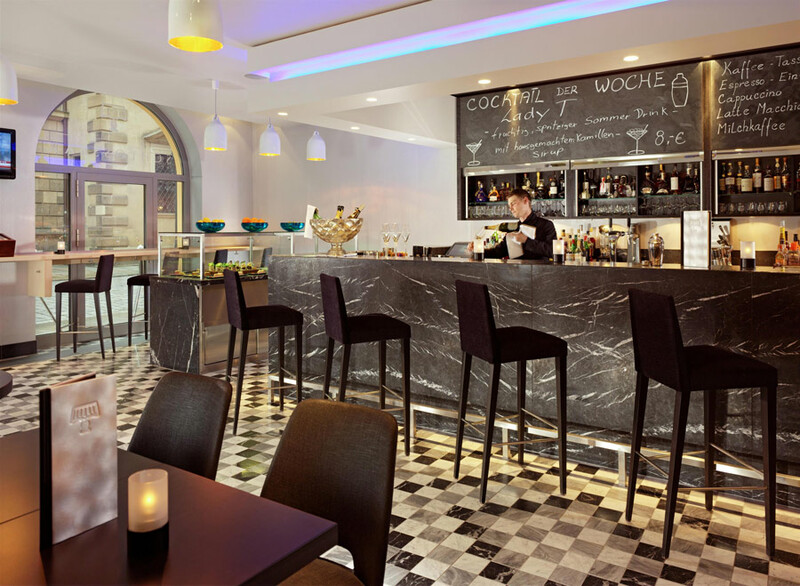 The Wohnstube lounge serves lunch and coffee. The lobby is a cheerful place to chat, and the small rooftop terrace is a pleasant spot for warm-weather drinks, though views are somewhat obstructed. Small groups can book the charming Arvenstübli lounge for private events. 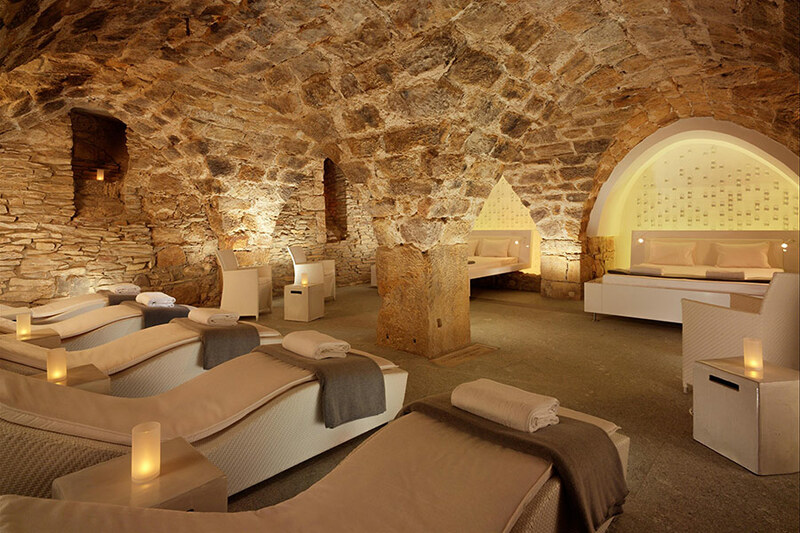 The Pürovel Spa and Sport Center has a relaxation area in a striking, original stone-vaulted cellar from the 15th century. The rest of the spa has neutral decor with plenty of wood and stone. There's a Finnish sauna and a bio sauna (€3 per day to use these), along with workout equipment. Facials and massages use products with Swiss Alpine herbs and flowers. Fast, free WiFi, an iPod docking station and many places to charge devices. Pürovel toiletries with Alpine herbs; crisp white bed linens; bathrobes and slippers. Teakettle and a Nespresso coffeemaker; minibar with beverages and snacks. The open bathroom layout in many rooms may not be for everyone, but I enjoyed the expansive spaces. A half-wall means that you aren't completely private. My toilet and shower (separate) were each behind a glazed glass door, though. The peacock mosaic, executed in bits of white china on the landing of the lobby staircase. The Old Town is packed with must-see sights and cultural venues like the . Plenty of tourists here, but the New Town is an easy walk across the Elbe River if you want a change of scene. Across the street in the are the and the , with objets d'art and plenty of jewels and gold. Stroll amid the courtyards and fountains of the pleasure palace and visit its museums, including the and the . At the iconic, rebuilt Baroque (Frauenkirche), learn about its mission of peace and healing and climb to the dome for panoramic city views. 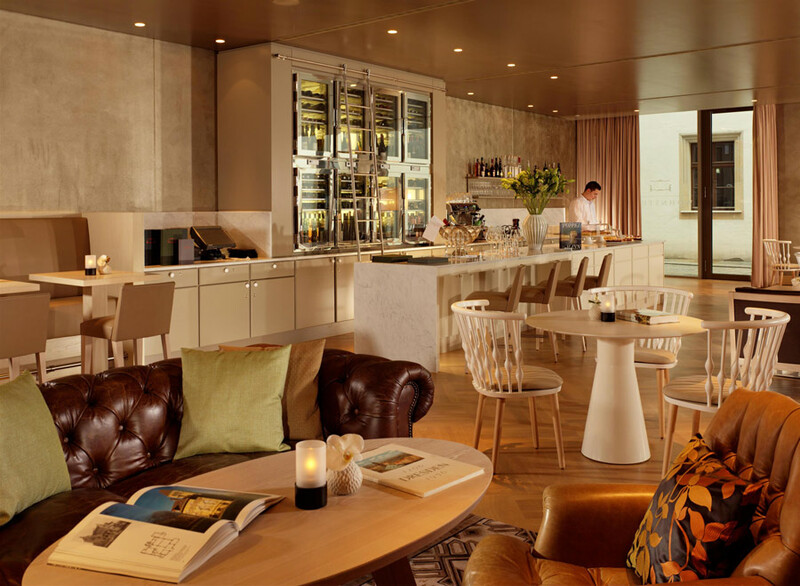 Take a break from sightseeing and grab lunch, coffee, or dinner at the in a former mansion on Theaterplatz between the opera house and the Zwinger. Dresden International Airport (DRS), six miles northwest of the city center and served by S-Bahn line #2, has flights to and from many European destinations. Tegel Airport (TXL) in Berlin is an alternative; Dresden is a two-hour train ride from Berlin. Swissôtel Dresden Am Schloss is central to all Old Town sights. Your feet and the city's tram system are the best ways to explore.